The U.S. Army Corps of Engineers has released a new policy that governs the operation and use of recreational unmanned aerial systems, or drones, at all Nashville District lakes within the Cumberland River basin. Safe locations have been designated to fly drones for hobbyists, and areas where people are camping and recreating, like swim beaches, have been prohibited. The policy also prohibits drone flights near critical infrastructures such as locks, dams, power plants and switch yards. “Flying various types of drones has become popular and we know people like flying them in open areas for recreational use, but we want to make sure they adhere to restrictions for public safety while utilizing Corps lakes and recreation facilities,” said Mark Klimaszewski, Natural Resources specialist. Lake Cumberland: Pulaski County Park. 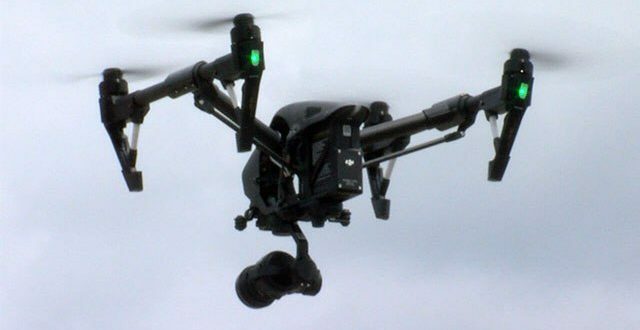 “The operation of unmanned aircraft that harasses or jeopardizes wildlife, including listed endangered and threatened species or critical habitat is prohibited. Critical habitat include areas that contain the physical and biological features that are essential to the conservation of a given species or group of species and that may require special management or protection,” the press release also states. The authority to approve exceptions to the policy is delegated to the Operations Project Managers. Call the lake resource manager’s offices for more information or to request an exception to policy. Violations may result in removal from federal property and potential citations. Corps officials remind everyone that drones should be operated in accordance to state laws and Federal Aviation Administration regulations, including any UAS registration requirements. They may be flown only during daylight hours only and while maintaining a visual line of sight of the aircraft while it is in operation.